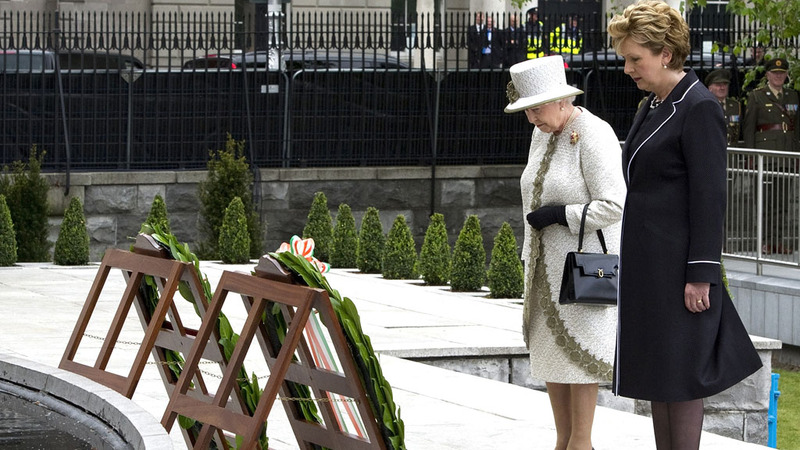 The visit of Elizabeth II to Ireland in 2011 became the first visit of the English monarchs from 1911 to the country, which is, as the English say, "next door neighbor" and which one was enslaved by Great Britain for several centuries.Many people from politics and history in both countries today are avoiding mentioning certain facts in the history of the Irish people and in relations between the two states that can only be called tragic and shameful by their names and selling Irish, men, children and women to English colonies - one of such questions. I remember well that in those days before the visit of Elizabeth II the whole Irish press was concerned only with one issue that was most important for Ireland in the relations between the two states - what the Queen of England is going to say in her official speech at the dinner, which will be given by the President of Ireland in her honor? Does Britain recognize the fact of Irish colonization with the subsequent payment of indemnity in such cases? The whole country froze in anticipation ... But - no. 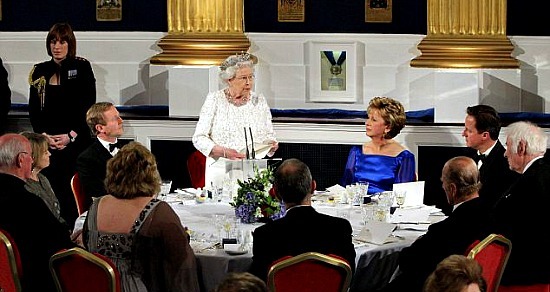 The English Queen, who, for this official speech, wore a white dress, probably as a virgin symbol of an unyielding English monarchy, did not recognize the colonization of Ireland. Her Highness only expressed regret for all the sad and tragic in the history of relations between the two countries. She visited "Croke Park" - Croke Park in memory of "Bloody Sunday" - "Bloody Sunday", when British soldiers opened fire on the crowd at the stadium during a match in Irish football and shot 14 innocent people. Well, the Irish Government had to swallow it. Today, one can not but consider the unquestionable importance of this historic visit to the British Queen in all senses and as the first step towards stabilizing relations between England and Ireland at all levels. Her visit left in the hearts of most of the Irish people the hope that someday Northern Ireland, still belonging to the "de jure" of Great Britain, will become simply Ireland. And yet, the cornerstone issue in relations between the two countries is still hushed up: neither the Irish history books, nor the Irish newspapers and other mass media ever mention the word "Slavery" - about Irish slavery in the colonies of the former English Empire. The beginning of this period in the tragic history of Ireland was laid by King James II - James II - in 1625, which issued a royal decree, on the basis of which 30,000 Irish were allowed to be sold into slavery to the West Indies, who for various reasons were thrown into English prisons . Further - as they say, more. 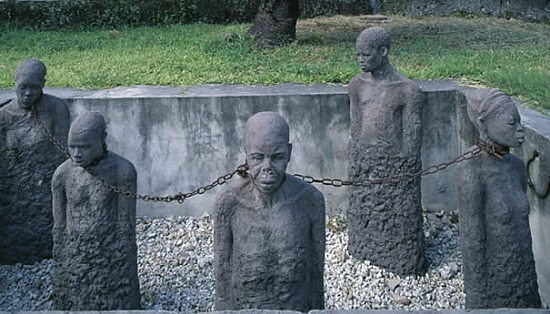 By the middle of the 17th century, more than 70% of the population of the two islands in the Caribbean, Antigua and Monserrat, were Irish slaves. And very quickly for the English traders Ireland became the main source - the "white goods" - for the delivery of slaves in the colony of the vast English Empire. From 1641 to 1652, more than 500,000 Irish were killed and another 300,000 were sold into slavery, and in just one decade the number of Irish from 1,700,000 fell to 600,000 and to this day this nation has never was able to restore its population completely. Many people from politics and history in both countries today are avoiding mentioning certain facts in the history of the Irish people and in relations between the two states that can only be called tragic and shameful by their names and selling Irish, men, children and women to English colonies - one of such questions. These people prefer and, if not say more correctly, they impose, we all use a different terminology, and they do not talk about selling one person to another for the purpose of making money out of the disenfranchised position of one of them, but about "hiring servants under a certain contract," and giving thousands and thousands of poor Irishmen of the work they needed, which by a lucky chance were simply buried in the backyards of the vast English Empire, the processing of sugar plantations under the scorching sun of the Barbados, for example. They invented and used a special term - "Indentured Servants", that is, workers for hire. 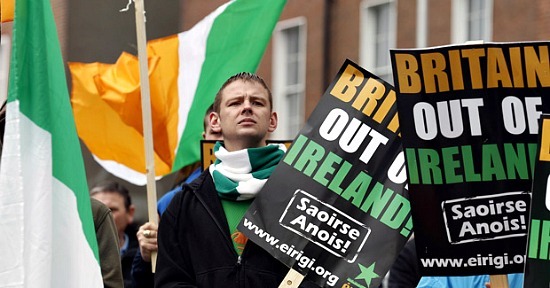 That's just asking if anyone: did the Irish themselves want to be there? The question is rhetorical to the absurd. Irish slaves were in the position of livestock, which was needed to perform hard work, after which the population of a whole nation can not recover until now, despite the fact that in Totally Catholic Ireland, there have never been abortions. Reading the history books in which it is written about the presence of the British in Ireland, I was confronted with just such an explanation as "the development of Irish lands in the history of England." Only. Well, why not help the poor and unenlightened people to master their lands? Build beautiful castles on the beautiful and rich lands of the Emerald Isle, surround yourself with the luxury and host of free servants, when English soldiers are rattling behind your back, and all the others who want to live in their home country and own a piece of land to grow potatoes, plant on ships and take out, preferably away. I traveled extensively throughout the island and Dublin, in particular, and educated Irish, economists and lawyers, politicians and journalists, told and showed me how much land is still privately owned by the British in the most prestigious areas of Dublin and in the most picturesque counties of the island. East coast of Ireland, the British colonized primarily, and this, of course, is understandable from a geographical point of view. Expansion into the interior of the island passed gradually, overcoming the desperate resistance of the people, the small riots of individual Irish villages and major uprisings flared up every now and then, and they were all suppressed with extreme cruelty. And when the English planters settled on the Irish lands, here the local population of the Emerald Island became simply superfluous and before the English Parliament the question arose - "What to do with the Irish?" - as the documents say. The decision, and the only thing, did not take long: the indigenous inhabitants of the Emerald Island began to simply sell, thereby turning people into another source of income. punishing the black slave, the English planter could hang him or her by the hand or put his feet on the burning coals of the fire, in the end, in order not to maim and torment the black slave or slave, the compassionate planter simply burned the disobedient alive. The question arises - what kind of punishment could be worse for an Irish slave? But there is no limit to human cynicism and diabolical sophistication! Over time, English masters found "better use" of Irish women, and they began with 12-year-old girls, "crossing" them with black slaves and getting a new genetic variety of human breed - well, not scientists! 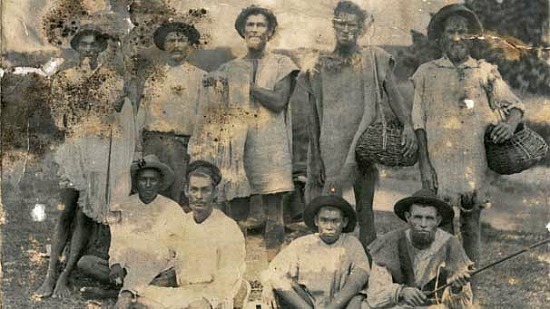 -mulat, hardy and strong slaves. Mulattos were valued a little more expensive than the Irish, but cheaper than African slaves. This "cultivation of a new breed" was so captivating to the English "explorers" of human nature that even the law adopted in England in 1861 prohibiting the use of Irish women for these purposes was simply ignored by them. This shameful phenomenon ceased to be so widespread, because it ceased to be profitable, as before, only in the new economic conditions, when large transport companies appeared on the slave market that flooded the British colonies with cheap human goods. Once started, England continued this shame and genocide over the Irish for several centuries. 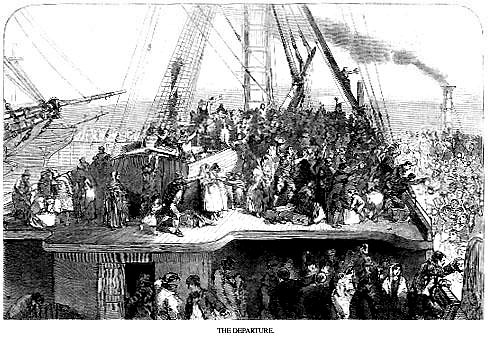 After the largest uprising in Ireland's history in 1798, the survivors of thousands of Irishmen were again immersed in ships and taken to America and Australia ... That's where the famous contemptuous attitude of American employers and landlords to Irish emigrants came that in the early 20th century came to America - "No Irish need apply"
Armenia has been shouting about genocide against its people for so many decades throughout the world, and this has long been recognized by the entire world community and is a stumbling block for Turkey's accession to the European Union. 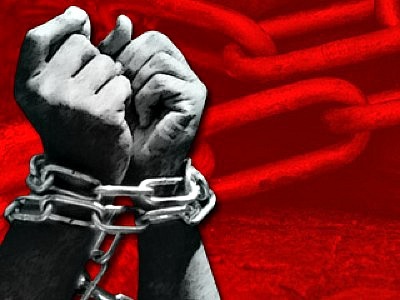 So why, for such a terrible and shameful phenomenon in human history, as the sale of some people to others, and in particular the English slave trade by the Irish after the colonization of Ireland, remains unpunished and even not recognized as a slave trade? "Svetlana, do you live in a world of illusions"?